Do you have overall responsibility for the control of a particular building or facility, either as a manager, an employer, property owner or a landlord? If you do then the UK’s Health & Safety Executive will often refer to you as the Duty Holder, and you may well have a legal duty to identify and manage any risks that are associated with Legionella bacteria and Legionnaires’ disease at that workplace or business. Legionella is the name given to a pathogenic group of bacteria that cause legionellosis including Legionnaires’ disease and Pontiac fever. Legionella bacteria can crop up in man-made water systems that are built to serve a particular purpose, for example domestic hot and cold water systems, air conditioning systems and spa pools. They occur in the natural world too, in rivers and other water sources. However, in these instances the numbers of bacteria are small and do not pose a significant risk. It is the precise nature of man-made water systems that may potentially lead to the Legionella bacteria spreading and multiplying, and therefore posing a health risk to anyone exposed to that water source. The UK’s Health and Safety Executive (HSE) provides ample information for duty holders who have a responsibility to manage risks associated with legionella, Legionnaires’ disease and engineered water systems. These water systems can range from large cooling towers to a small hot tub used on display in a shop. Basically, any water system could have the potential to allow for the spread of Legionella bacteria. You can only identify the risks and manage them appropriately once a legionella risk assessment has taken place – this should be seen as your starting point. You may be able to do this yourself if you have the proper skills, or if the risks are very small. However, it is often better to hire an experienced legionella risk assessor with the right skills to do the risk assessment for you. In some cases, it will be discovered that the risks are minimal. In this case, nothing else needs to be done, save regular monitoring to ensure the risk level is properly managed and has not increased. It is wise to keep a record of what has been done in every case, in the event it should be required. However, in other situations, regular legionella testing may be required to ensure the amount of bacteria remains below specific levels identified by the HSE. Sometimes testing may not be needed, particularly if other control measures can be identified that would allow levels of bacteria to remain at a safe level. The most important thing to remember is that every duty holder has a legal responsibility to identify and manage any and all risks associated with Legionella bacteria and Legionnaires’ disease at the properties they are tasked with managing. 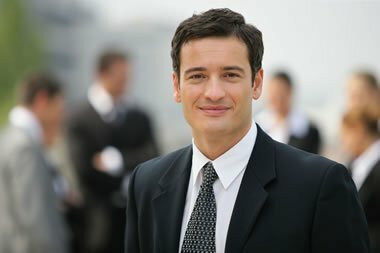 If you are the recognised duty holder then following the advice given by the HSE is a great starting point and will certainly help to ensure that the health and safety of your employees, work colleagues and others around you are protected, and that your legal obligations associated with the control of Legionella bacteria and Legionnaires’ disease and are met.